A city bountiful in nature’s flare, Marmaris boasts lush green and everlasting backdrops of pine forests and eucalyptus trees. This lovely seaside city is set parallel along the beautiful Mediterranean shores and home to four world class marinas; and as such, justifies the allurement to gulet cruise travelers alike. 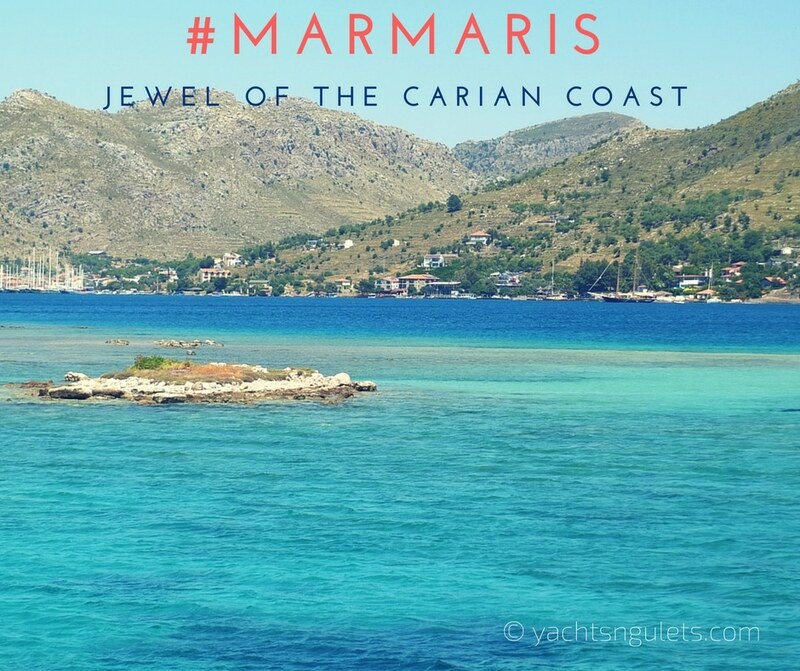 Marmaris offers a wide open harbor that draws many types of seafaring vessels, including major cruise liners from around the globe – year round. This lively city is accessorized with brilliant little traditional shops that are situated in between the cliché t-shirt, handbag and leather shops, which attract tourists as well as local shoppers for their daily needs. The attractive harbor of Marmaris is lined with tall palm trees, restaurants with both International and local cuisine, bars, and cafes. There is a newly renovated promenade that is over 15 km long; hence it populates this stretch with enthusiastic walkers, joggers, and strollers all the same. 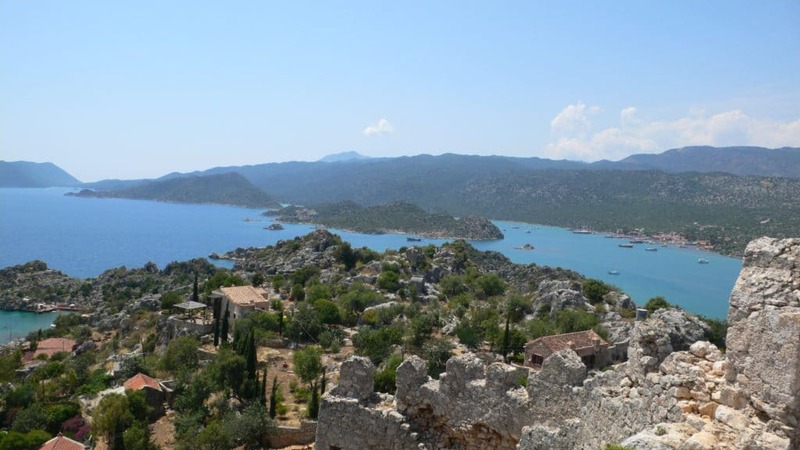 There are many advantages to gulet cruise itineraries from Marmaris. 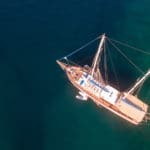 As a major and also favored embarkation point for wooden boat cruises, an overnight stay in Marmaris is an added bonus to your gulet travel itinerary. These itineraries are flexible, therefore guests are fortunate to have the opportunity to get to know the city a bit more before raising anchor to set sail on a fantastic week long journey along the shores of Turkey. It is also a benefit to start your gulet cruises holiday from Marmaris because it neighbors the nearby Greek Islands in the North and South Dodecanese, making it all the more appealing to the gulet cruise – exploring two countries in one holiday at sea. However should guests decide not to travel that distance and rather, take their gulet cruises a bit more leisure and slow paced, Marmaris is abundant in delightful bays that are also excellent mooring points to explore charming villages with historical sites, serene surroundings, with secluded little islands and coves in between. 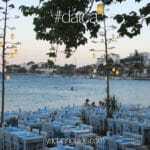 The quaint little villages add vibrance to the culture and present a non commercial value to the cruises in Marmaris. To understand why a Marmaris gulet cruises is ideal for your holidays in the Mediterranean is to realize that it is one of the ‘must-do’s’ vacation styles for blue cruise travels – all you need to do is book a gulet, a classic Turkish wooden sailboat, and set your course from one of the most popular harbor cities in Turkey. Your experience will not only be ‘nature-friendly’, but also a fun filled adventure. 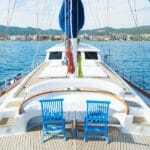 A Marmaris gulet trip is a total relaxation for your group to enjoy in Eastern European hospitality and cuisine. 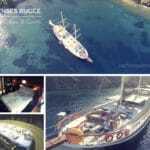 So if your heart is set on finding out more on gulet cruises, you might like to consider looking into your choices from the splendid harbor of Marmaris Turkey. Whether winter, summer, spring or fall, there are always gulets available for travelers and destinations along the ancient Carian coast just waiting for discovery.